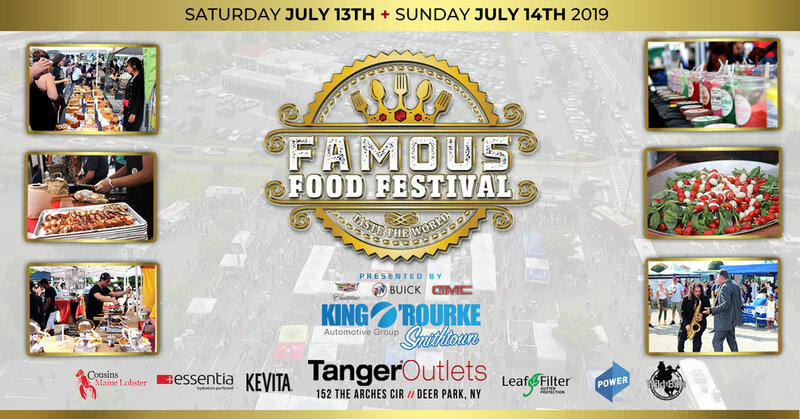 On Saturday, July 13th and Sunday, July 14th, 2019, Famous Food Festival is BACK and BIGGER THAN EVER.. Featuring Over 60 Food Vendors, 175,000 SF of Outdoor Space, Live Music, Beer and Wine Garden, Virtual Reality Gaming Area, Multi-Sport Simulator, Butterfly Exhibit, VIP Area and much more TBA.. This all-ages fun for the whole family event is only $5 to attend each day! Children 10 and under are FREE. Going down at the Tanger Outlets in Deer Park, NY.. This year’s famous food festival is presented by King O’Rourke. Can you think of a more enticing expression of culture than food? 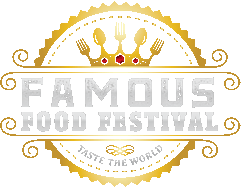 Welcome to the ultimate culmination of Culinary Arts in the Food Festival Industry! Our Community Food Festival event production company consciously focuses on creating a distinctive food festival experience through delivering the opportunity to taste the world and blend together all of the most delectable and flavorsome ingredients stemming from a myriad of different cultures and food.We offer our 100% satisfaction guarantee and implement our quality standards with pride to produce long-term partnerships with our sponsors, vendors and every attendee that has relished in the hearty experience that Famous Food Festival proudly provides! 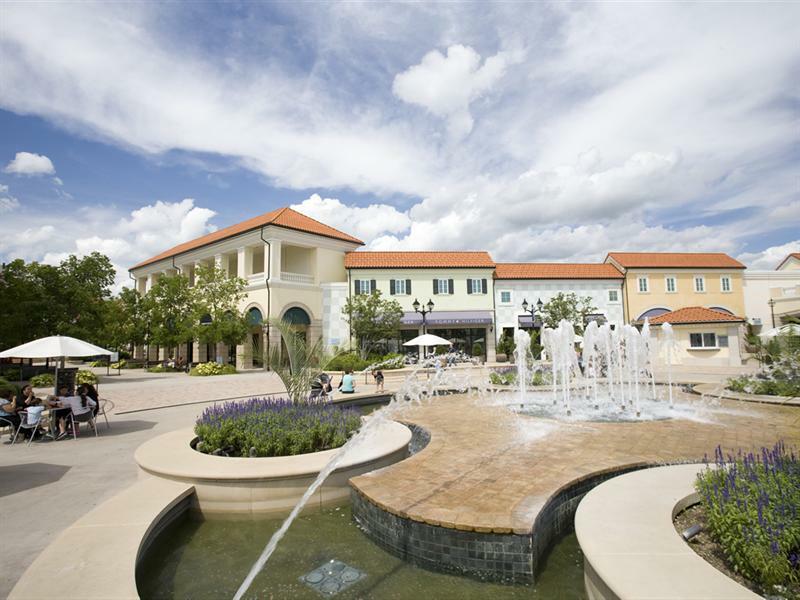 The Tanger Outlets in Deer Park, Long Island features over 100 shops, dining and Regal Cinemas right off I-495 in Deer Park, NY! We’ll be transforming the 175,000SF southwest parking lot into a wonderland of deliciousness and fun!